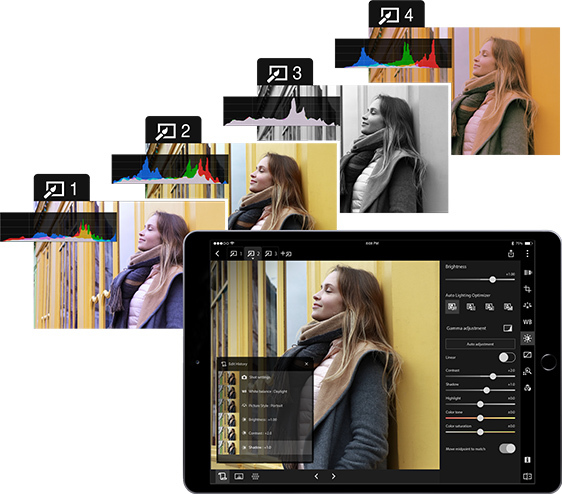 For portable and wireless digital photography workflows, Canon's Digital Photo Professional Express (DPP Express) brings the powerful features of Canon's DPP software to your compatible iPad. 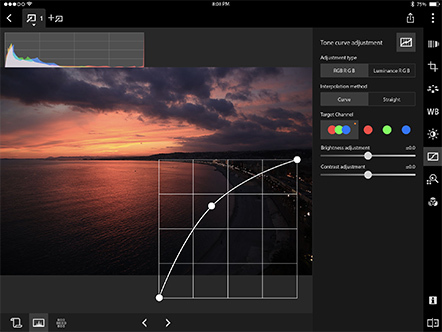 Working with Canon's Camera Connect app*, DPP Express streamlines the processing of JPEGs and .CR3 RAW files with an intuitive and powerful interface. 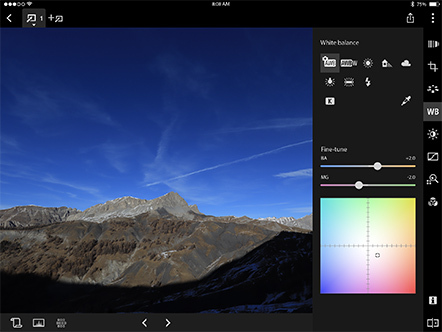 View images and adjust settings right on your mobile device, and save files to the cloud, a computer or your camera. With DPP Express, it's incredibly easy to maintain a wireless RAW workflow on the go. 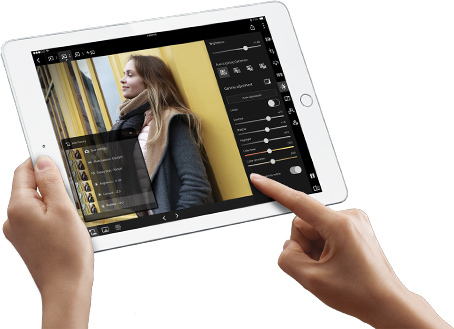 With the Camera Connect app* installed on your compatible iPad, it's simple to connect wirelessly to your camera to download images, operate remotely and more. Images stored on the camera's memory card can be downloaded instantly and automatically for review, sharing or use in DPP Express. The Camera Connect app* also makes it easy to change camera settings, take pictures and video and even apply GPS data. DPP Express is designed for fast and intuitive operation on your iPad. 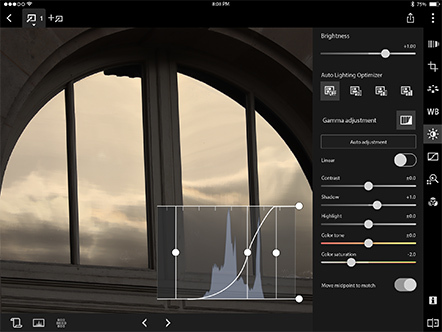 With touch-operated controls and a clear, simple user interface, it's easy to adjust settings like tone curves, picture settings, gamma levels and even lens correction right on your iPad and see the changes applied in real time. To create and compare different versions of the same image, DPP Express enables Multiple Editing Histories. Helpful in differentiating and comparing effects or setting changes on the same image, this feature creates up to four editing histories to view and save. To apply the same set of corrections to different photographs, Edit Histories can even be copied and pasted among images using the DPP Express Copy and Paste adjustment functions. For Additional Help & Support, please click here. 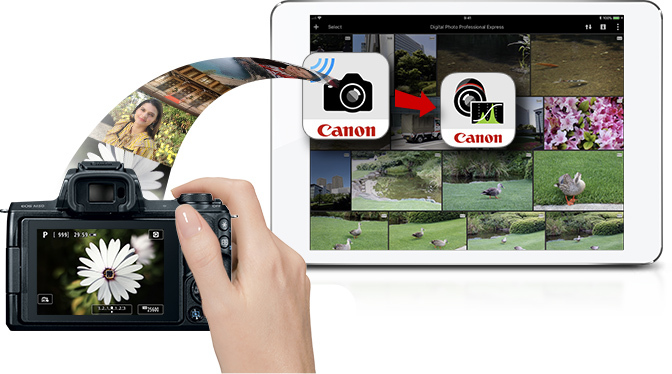 * The Canon Camera Connect app is compatible with iOS® versions 9.3/10.3/11.2, Android™ smartphone and tablet versions 4.4/5.0/5.1/6.0/7.0/7.1/8.0/8.1. Data charges may apply with the download of the free Canon Camera Connect app. This app helps enable you to upload images to social media services. Please note that image files may contain personally identifiable information that may implicate privacy laws. Canon disclaims and has no responsibility for your use of such images. Canon does not obtain, collect or use such images or any information included in such images through this app.